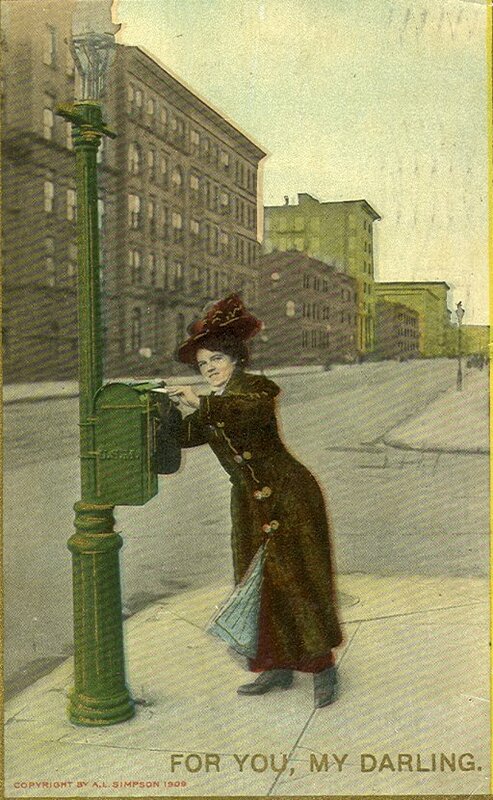 Woman putting a letter in a post box, United States of America. I place many objects in the table or assign them at random to students. All of the objects are old: postcards, advertisements, mugshots, taxidermy instructions, a dried beaver face, etc. 1. Select a piece of ephemera from the center of the table. ***Bonus step: Now switch objects with the person on your right. Describe this object. How does this new object compare or contrast to your old object? Does it raise similar issues?